Which wiring is best for each driver, which wiring gives highest subwoofer speaker fidelity? Is intra-driver, voice-coil phase alignment more important than each driver's phase alignment to the other? 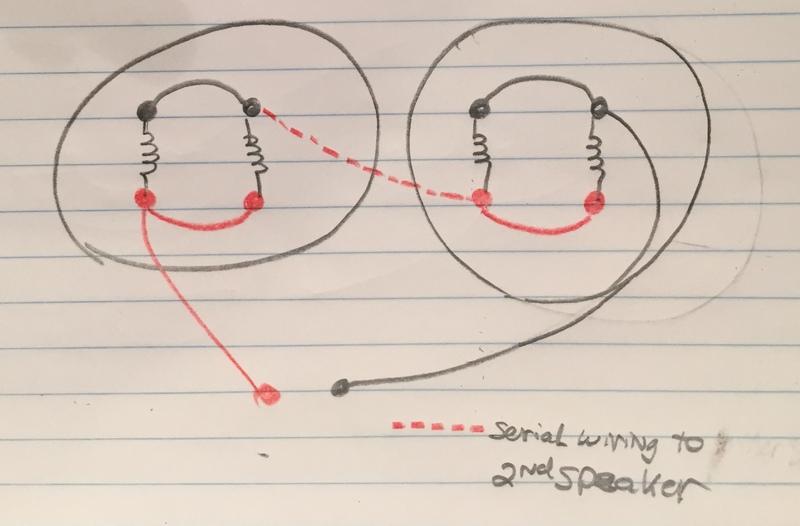 A dual voice coil subwoofer driver, wired parallel within, seems like best arrangement for tightest control of driver excursion - with opposing speaker's parallel coil pair firing 2nd. Trying to figure out your wiring, I think on your first diagram you are paralleling the internal voice coils which would give you a 2 ohm load. But then you are paralleling them again so your amp would see a 1 ohm load. Most amps don't like that. If you would run those two drivers in series then if would be a 4 ohm load and you would be good. On the second diagram you are running each driver in series so each one would be a 8 ohm load. Then wiring them in parallel would give the amp a 4 ohm load and that would be good also. Pick which ever one is easier for you to wire, but keep it 4 ohm. I think the sonic benefits will be the same either way. 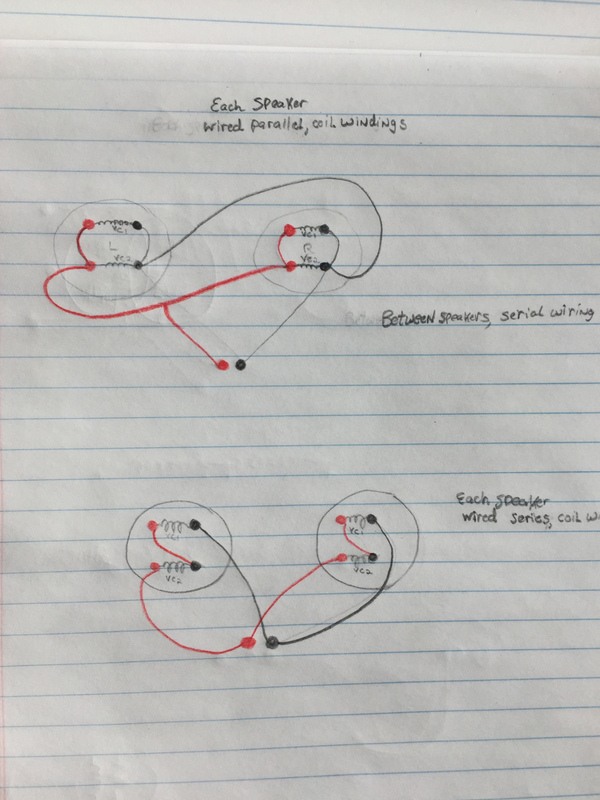 Updated more correct drawing: Each driver's coils wired in parallel to one another and then the mirrored subs wired in series to each other.